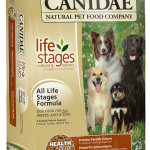 The Canidae company makes good dog food, there’s no doubt about that. They only use ingredients that are “human grade”, and they never put fillers in their food. 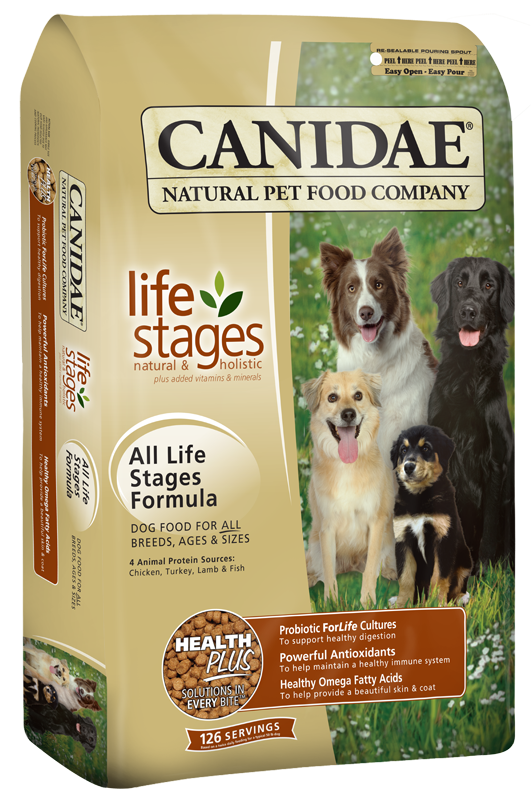 This is the grain-based offering from Canidae. The grain free PURE range is marginally better, but costs a fair bit more per kilo than this does. We find chicken meal, turkey meal, and then lamb meal as the top three ingredients. This is very impressive, especially considering meal is weighed after cooking, when it’s more concentrated. Dog’s are primarily carnivores, so this is definitely what we want to see. Both brown rice and white rice are included as digestible sources of fibre, and certainly better grain choices that corn and wheat. Peas and potatoes are a great source of carbohydrates. The other ingredients in this food are solid, catering for all required nutrients and fats, as well as flaxseed for heart health. It’s also relatively cheap given the quality of this food. This is a great choice for those wanting to feed a decent kibble but can’t afford the more premium grain free foods. I see this as being on par with Black Hawk, if not marginally better. Chicken meal, turkey meal, lamb meal, brown rice, white rice, rice bran, peas, potatoes, oatmeal, cracked pearled barley, chicken fat (preserved with mixed tocopherols), millet, tomato pomace, natural flavor, flaxseed meal, ocean fish meal, choline chloride, suncured alfalfa meal, inulin (from chicory root), lecithin, sage extract, cranberries, beta-carotene, rosemary extract, sunflower oil, yucca schidigera extract, dried enterococcus faecium fermentation product, dried lactobacillus acidophilus fermentation product, dried lactobacillus casei fermentation product, dried lactobacillus plantarum fermentation product, dried trichoderma longibrachiatum fermentation extract, vitamin E supplement, iron proteinate, zinc proteinate, copper proteinate, ferrous sulfate, zinc sulfate, copper sulfate, potassium iodide, thiamine mononitrate, manganese proteinate, manganous oxide, ascorbic acid, vitamin A supplement, biotin, calcium pantothenate, manganese sulfate, sodium selenite, pyridoxine hydrochloride (vitamin B6), vitamin B12 supplement, riboflavin, vitamin D3 supplement, folic acid, cobalt proteinate, papaya, pineapple.